FORMER WORLD TITLE contender Matthew Macklin has put speculation surrounding his boxing future to bed and announced his return to the ring. 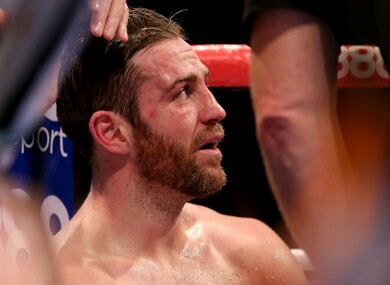 Macklin will fight in Birmingham’s Barclaycard Arena on 9 May, with his opponent to be confirmed in the coming weeks. The middleweight clash will be screened live on Sky Sports on a card headlined by Birmingham native Frankie Gavin who signed a promotional deal with Eddie Hearn’s Matchroom Boxing today. It will be Macklin’s first outing since he was stopped by Jorge Sebastian Heiland on his Dublin homecoming in the 3Arena in November. The May date will be his first fight in Birmingham in almost five years. The unbeaten Kal Yafai, his younger brother Gamal, and Stourbridge’s Sam Eggington will also be in action. Email “Look out, old Macky is back! Macklin ends retirement rumours, announces next fight”. Feedback on “Look out, old Macky is back! Macklin ends retirement rumours, announces next fight”.